New leadership at Bluberi Gaming & Technology recognized the need for change in the casino gaming industry. They wanted to create a suite of hardware products that leap-frog the status quo, empower casino operators and resonate with players. With a background in software product innovation, Bluberi’s leadership understood they needed a design partner that stayed true to the creative process and would let the essence of their new Bluberi vision guide the design decisions for the future EGM. 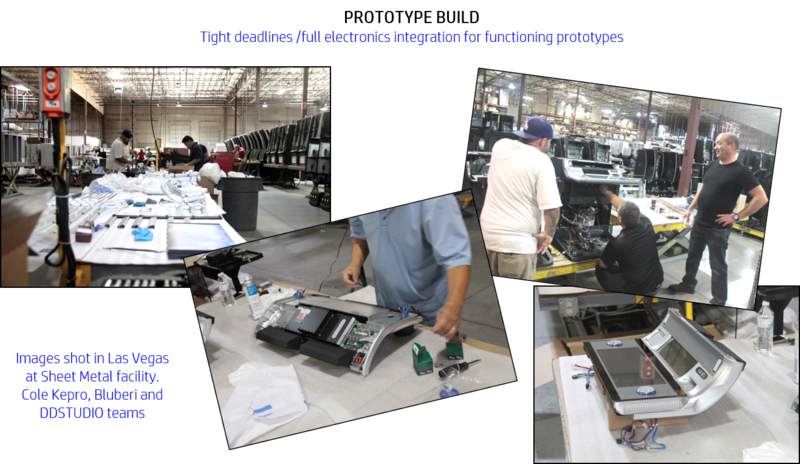 Bluberi’s mission was to produce a family of machines that offer an iconic, visually stimulating, future flexible EGM. 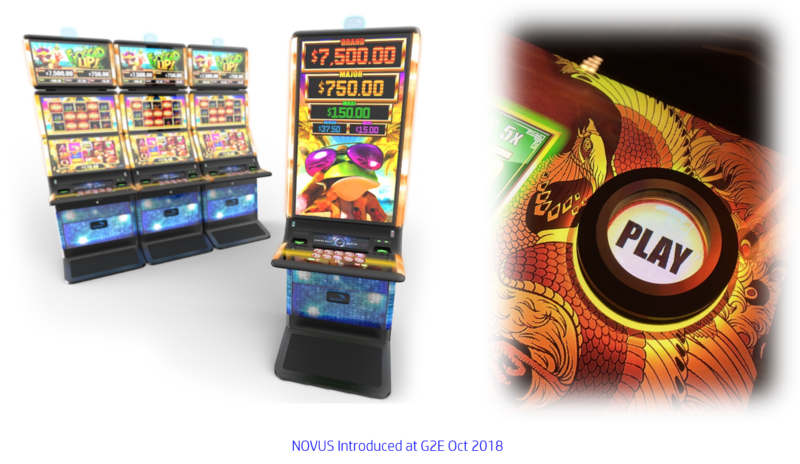 In less than nine months, the Bluberi -DDSTUDIO’s co-collaboration unveiled the first Novus Cabinet, at G2E 2017. A consumer level, edge-to-edge wrapped gaming surface that yielded significant design and utility IP. The Player is the center of the gaming experience. With a delighted player, the casino operator gets the most play (coin-in). Empathy: The Bluberi and DDSTUDIO teams spent a lot of time in the field, observing player behavior and interviewing casino operators to truly understand the challenges their challenges. Empathy inspired insights became fundamental to the design approach. 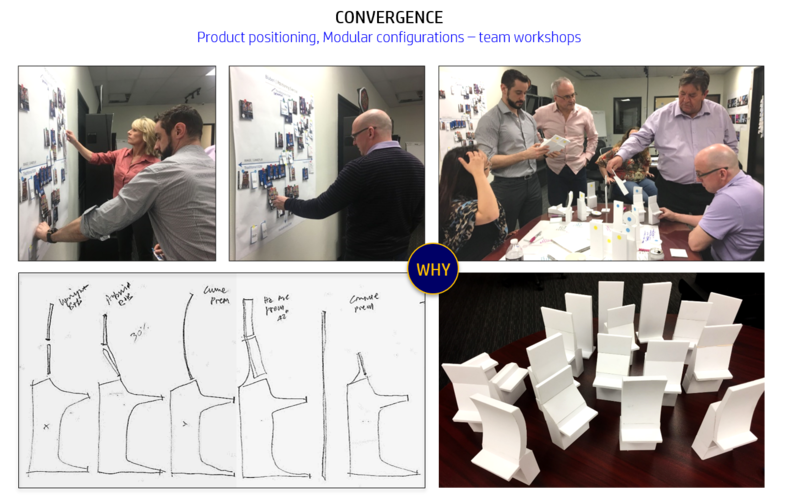 Cross-Functional Teams: Full team inclusion and industry stakeholder involvement provided a rich foundation of knowledge for meaningful innovation and alignment on strategic direction for branding, form-factor, use of materials, and market positioning. 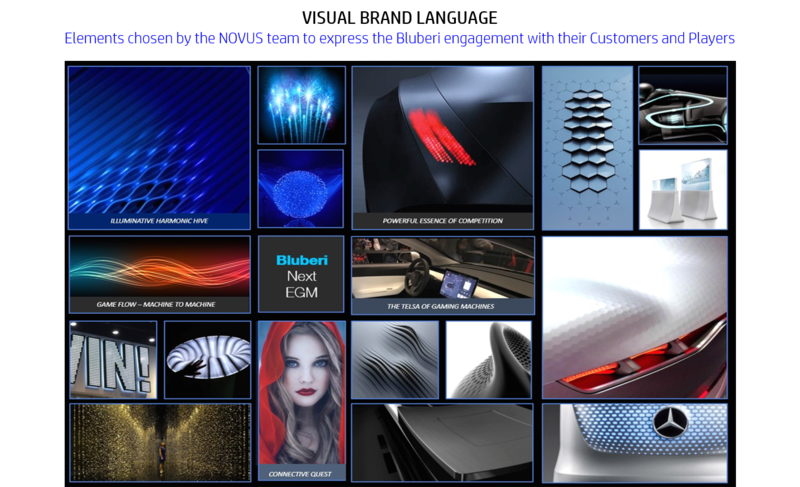 The “New Bluberi” visual brand language was revealed by prioritizing shared inputs into a single theme board. The chosen EGM form-factor configuration was the result of a playful exercise with modular maquettes. A market positioning exercise guided direction for the optimum blend of physical elements to differentiate. Build, Feedback Loops, Iterate: Multiple design concepts were considered to arrive at the chosen EGM direction. 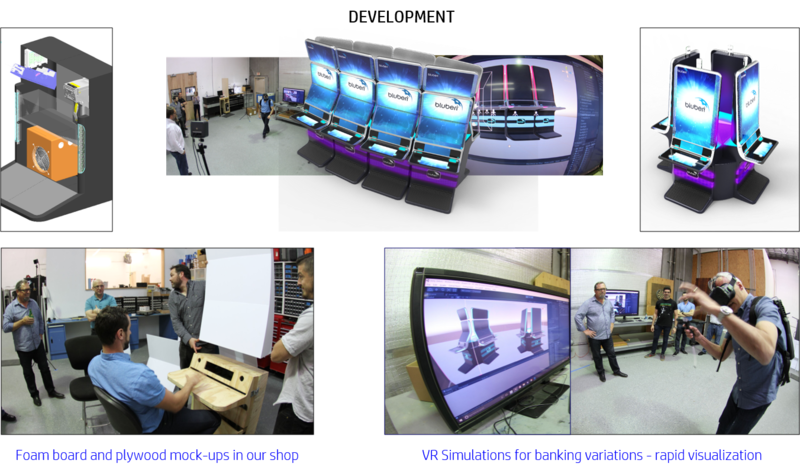 A team Virtual Reality session was an invaluable tool to align on banking, configuration, lighting effects and more as concepts were evaluated in the casino environment. Creativity: Research patterns told us that lighting on the EGM should be more than an add on… it is key to attracting players to the machine. 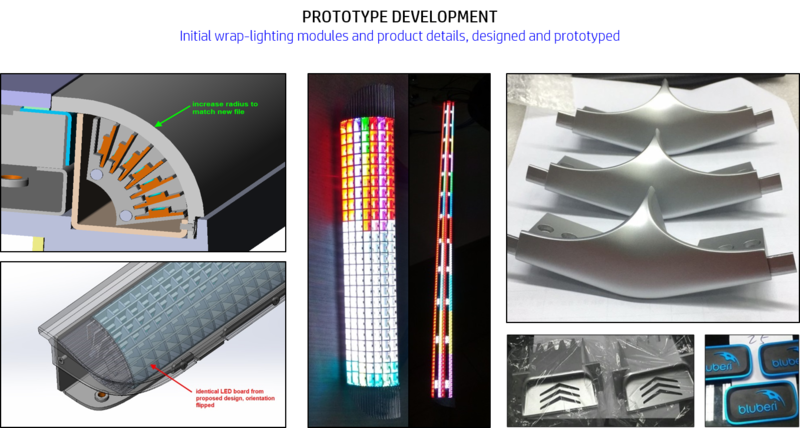 The idea of an edge-to-edge screen with integrated lighting was the result of team iterations to evaluate lighting effects, detail and develop a viable prototype. The product line delivers an immersive gaming experience with customizable flexibility. The cabinets were designed from the user perspective. While innovative, there’s a sense of familiarity and comfort. Curves on the cabinets eliminate sharp edges and also encase the surround lighting system, allowing the games to extend to the edge. Novus Series Surround Lighting™ is the innovative lighting system that is part of every cabinet in the Novus Series. It introduces 200+ uniquely addressable LEDs that extend the screen and link with gameplay. 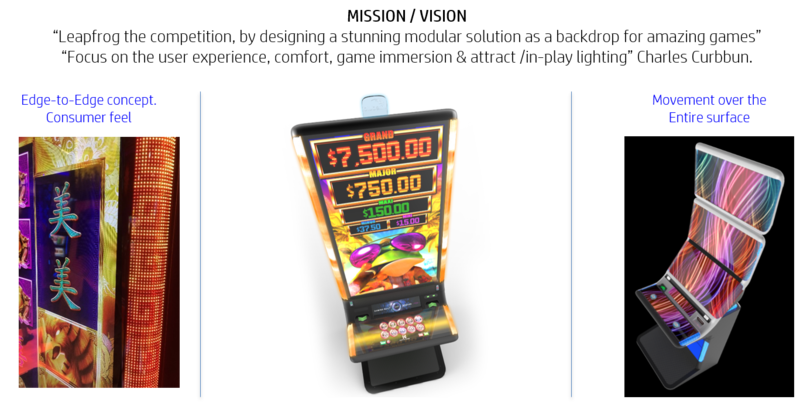 Bluberi is reinventing itself with the launch of the Novus Series at G2E 2018. New products, new games, and a new strategy to reposition the company in casinos and on-line.